Fully updated luxury corner unit condo overlooking canal and private golf course. Look no further, this 2Bed/2Bath home with high vaulted ceilings is ready to move into today. 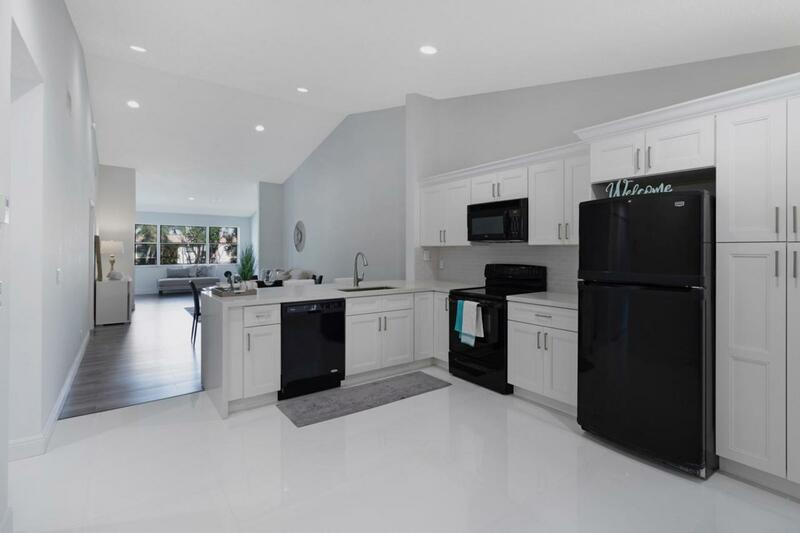 Some noteworthy features include new soft-closing kitchen cabinets, custom quartz counter-tops, new appliances (washer/dryer in unit), all new flooring, immaculate LED lighting throughout, designer custom finishes, screened in patio, brand new 2018 AC & Water Heater, large walk in closet. Unit can be offered fully furnished. This well kept community features clubhouses, pool, tennis courts, and much more. Located only a few miles from major shopping plazas and highways!